A bushland wedding has a unique kind of feel to it. The trees that surround you and your guests, their stories of hundreds of years giving a feeling of longevity to your wedding vows. The great thing is, in a country like ours with our numerous national parks everywhere it’s easy to find one that will be appropriate for your wedding. However to give a helping hand, here are rounding up 3 forest wedding ceremony locations we recommend, for you today. William Bay Country Cottages. The stunning location, twenty minutes away from the Western Australian town of Denmark (yes you read that right), has a lot of on site accommodation and a beautiful backdrop for your ceremony of the nearby forest of Karri and Peppermint trees or within the neighbouring William Bay National Park. If getting married in bushland is your dream, then let us suggest the Hidden Gully at O’Reillys Rainforest Retreat to you. This Queensland venue is built to make the most of its rainforest surroundings. Weddings can really utilise the hidden away forest spots with the views from the tree tops. On site cabins and rooms and restaurant makes this a one stop forest wedding venue. 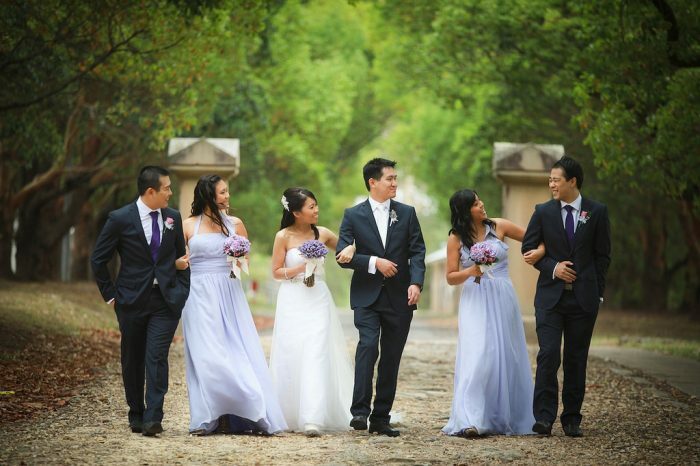 For the tropical bushland wedding lovers, Green Cathedral, Pacific Palms is such a perfect wedding ceremony site. With a covering of trees overhead and a view of water behind you, the venue is ideally set up for wedding ceremonies with wooden pews for guests to sit on and has the perfect atmosphere for beach lovers. Another thing to be thinking about is the general atmosphere of the wedding. This is where music can make a huge difference. The style of band you choose is important. Big Thanks Band loves to cater for the perfect wedding – i.e. the wedding that suits you. With that said, we want to hear from you about your tastes in music. Our wedding singer with our acclaimed wedding band will make your day extra special by doing a few requests that mean a lot to you and your spouse. Our repertoire is vast and caters for many different styles. Weather you’re looking for a wedding band in the southern highlands or in the hunter valley, Big Thanks Band is ready to play for you and help you in planning the perfect wedding.